The changes to personal injury law announced by the Chancellor of the Exchequer in the Autumn Spending Review have already raised considerable controversy. Claims for damages for whiplash injuries are to be abolished (along it seem with claims for all low value minor soft tissue injuries incurred in road accidents). In addition, the small claims limit for personal injury cases is to be increased from the current £1,000 to £5,000. As a result of the latter change, a much greater number of personal injury cases will be determined in a procedure under which a winning claimant will be unable to recover any costs. The purpose of this comment is not to consider the immediate implications of these changes, but rather to ask what they tell us about how the personal injury system is likely to develop in the future. The whiplash proposals are billed as a further attempt to remove fraudulent claims from the personal injury system. But, in fact they will go much further in removing perfectly genuine claims for the injury along (assuming that a workable definition of low value soft tissue injury can be achieved) with claims for cuts and bruises. One approach to this has been to say that it is objectionable because it will eliminate part of the head of damages for pain suffering and loss of amenity which has always been a standard feature of the law of damages. This could be seen as the thin end of a wedge that will ultimately see the elimination of all forms of such damages in all minor tort cases extending beyond road accidents. But, would this actually be a bad thing? English law has long been criticised for devoting too much attention and resource to small claims and too little to those accident victims who suffer life changing injuries. In other countries no-fault workers’ compensation and road accident schemes usually pay benefits only for financial losses unless major disability has resulted from the accident. In 1978 a majority of members of the Pearson Commission favoured concentrating resources on the more seriously injured by eliminating awards of damages for pain suffering and loss of amenity suffered in the first three months after the accident (although the Law Commission rejected such an approach in 1999). Australian states now generally impose both a threshold below which no such an award can be made and an upper limit. One thing which is clear is that a rule eliminating a recognised head of damage from recovery in a particular category of case (road traffic accidents) will appear anomalous. It will be interesting to see whether the insurance industry will, having gained this victory turn its attention to other species of injury, such as anxiety attacks following an accident, which it feels have been exploited by fraudulent claimants. If the system is to move in the direction of imposing greater restraints on the recovery of damages for pain suffering and loss of amenity, one would hope that such restraints could be imposed uniformly. The current proposals will mean that those injured in road traffic accidents receive different damages to those suffering identical injuries elsewhere. What does seem certain is that anyone who believes that the savings achieved by this measure will be directed to improving the lot of the seriously injured will be disappointed. The government is expressly stating that it expects the result to benefit the general public in the form of reduced motor insurance premiums. The decision to bring a large number of personal injury claims within the jurisdiction of the small claims court is surprising given that a proposal to that effect was shelved in 2013 pending more data being forthcoming on the impact of the reforms to the procedure and funding of personal injury cases introduced by Part 2 of the Legal Aid Sentencing and Punishment of Offenders Act 2012. The change has now been decided on in the absence of that information. The result, because costs are not awarded in a small claims court, is that a personal injury victim whose claim is worth less than £5,000 will have to choose between pursuing the claim as a litigant in person or paying legal representatives from his or her own resources. This, of course, assumes that such a person can put a value on the claim and has sufficient confidence to resist any attempts by the defendant’s insurance company to settle the case. In short, there is a definite risk that this development will eliminate solicitors from working on low value personal injury claims, dissuade claimants from pursuing cases and give insurers much greater freedom when attempting to settle those cases which are brought. Looking to the future, it is not difficult to see why discussion is already emerging as to alternative dispute mechanisms which might emerge to handle low value personal injury claims. The Irish Injuries Board, which offers an independent resolution mechanism for personal injury cases provides an interesting model. Most of the Board’s work is conducted online in the absence of lawyers. In the past, it has been argued that such an approach would not be viable in the UK because of the vested interests of the legal profession and insurers. However, if the legal profession is likely to play a decreasing role in lower value claims the attraction of such an approach as a way of providing an independent body between the claimant and the defendant’s insurer may increase. 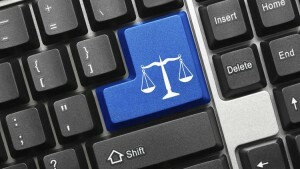 Indeed, we are now seeing increasing support for the introduction of online courts. The Irish Board provides a useful example of the way in which the internet can be utilised to give unrepresented claimants simple access to the tort system. It has also proved remarkably successful in covering its costs and in offering a free service to successful claimants.